Seventy years after his death, Tagore’s genius still provides ample scope for critical analyses of his writings, especially in the English language and outside the subcontinent. A collection of thirteen essays, The Poet and His World: Critical Essays on Rabindranath Tagore enhances critical literature on Tagore. Looking at different aspects of Tagore’s life and philosophy, the chapters in this volume are sequenced from the more general to the specific. They analyse the poet’s life and relationships, his moral, educational, political and dramaturgical philosophy, and finally provide textual analysis of select individual works like the novels Gora and The Home and the World, and a short story, “The Laboratory”. Eminent scholars like Sukanta Chaudhuri, Martin Kampchen, William Radice, Bharati Ray, Kathleen M. O’Connell, Uma Das Gupta, to name a few, have contributed to this volume. Brought out on the 150th birth anniversary of the poet, this book will be an unputdownable read for students and scholars of literature and culture studies. Mohammad A. Quayum is Professor of English at the International Islamic University Malaysia, and Adjunct Professor in the School of Humanities at Flinders University, Australia. This book has grown partly from my personal admiration for Rabindranath Tagore as one of the most gifted, multifaceted, dynamic and insightful writers of the modern period, and partly from a necessity to compensate for the lack of critical material on his writings, especially in the English language and outside the subcontinent (particularly his native Bengal). Creativity and criticism are symbiotic; they ought to develop synchronically and reciprocally, to find their mutual fullness and balance. But in Tagore’s case, criticism of his work has been relatively scanty, particularly in the English language. My one common experience of teaching undergraduate courses as well as supervising postgraduate research on Tagore in countries as culturally disparate as Malaysia, Singapore arid the US, has been the lack of resources for students. Certainly, translation of Tagore’s work from Bengali to English has found a resurgence since the copyright restrictions were lifted in 2001. Therefore, we come across several new translated editions of Tagore’s short stories, novels, poems, plays, letters and lectures available for readers. But this can hardly be said about critical material pertaining to Tagore. Efforts are being made of late to generate more discussions on Rabindranath’s life and work, centring on the Bengali polymath’s 150th birth anniversary in 2011. A series of four conferences were organised recently-respectively at Harvard, Singapore, Beijing and Kolkata-to commemorate this event. Three more conferences are forthcoming, in Melbourne, Australia (21-22 May, 2011), Budapest, Hungry (14-15 July, 2011) and Shimla, India (14-16 November, 2011).1 As early as 2008, the University of Toronto Quarterly brought out a special issue on Rabindranath, based on a conference held there on the poet in 2005. More journals are poised to bring out special issues on Tagore to coincide with his year-long birth anniversary celebrations beginning in May 2011. Hopefully, these recent and the upcoming conferences will also result in more published materials. Moreover, the Nalanda-Sriwijaya Centre at the Institute of Southeast Asian Studies in Singapore is developing a website devoted to Rabindranath Tagore, focusing on his “visits to Southeast Asia and East Asia, the local reactions to Tagore and the scholarship related to him in these two regions” (https://nsc.iseas. edu.sg/projects.htm#Web). These are no doubt positive indications, and one hopes that this trend will continue to grow so that Tagore eventually gets the appreciation and critical attention he deserves, matching his creative genius-which moved readers and audiences from Japan to Canada, and from the Baltic republics to Argentina, during his lifetime-but which, unfortunately, became a thing of the past soon after his demise. My initial objective was also to bring out a special issue of the journal I edit from Kuala Lumpur, Asiatic, to honour Tagore’s 150th birth anniversary. Accordingly, I sent out invitations to several recognised Tagore scholars in India and elsewhere in late 2009. The response was more than encouraging. I received more contributions than I had initially anticipated. Realising that I could not accommodate all the articles in a single issue of the journal (and I could not leave any of them out owing to their high academic merit), I decided to change my plan to a book project, which Orient BlackSwan, after due process of adjudication, and in the shared spirit of honouring Tagore for his masterful contribution to world literature and culture, has accepted to publish. 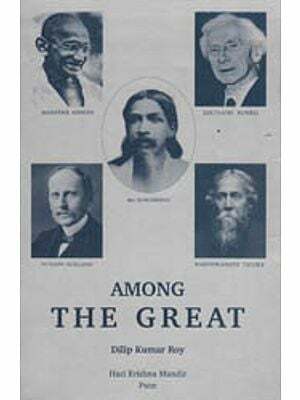 There are altogether thirteen articles in the book by eleven different contributors, some of whom are globally recognised as leading experts on Tagore. Of course, as is expected, several of the articles have come from India, more specifically West Bengal, but there are contributions from other countries as well, such as Bangladesh, Canada, Germany, the UK and the USA, which testify to the universal nature of Tagore’s appeal as a writer. The articles examine different aspects of Tagore’s life, philosophy and work. Since the articles have intersecting and overlapping concerns, it has not been possible to organise them into definite categories, but I have sequenced them in a way so that we move from general to the relatively more specific: from Tagore’s life and relationships; to his moral, educational, political and dramaturgical philosophy; to, finally, textual analysis of select individual works, i.e. two novels, Gora (1902) and The Home and the World (1915), and a short story, “The Laboratory” (1940). Tagore’s biographer, Krishna Kripalani once wrote in a homage to the poet, “Having wooed and won his Muse, the man in Rabindranath, like his Arjuna in Chitrangada, felt the need of a wider field of activity, of a fuller life as a man among men” (Kripalani 1962: 146). This quest for a “wider field of activity” and. “a fuller life” made him not only a “poet of multitudes/sing songs of obscure man/reveal his unspoken soul,/soothe his humiliated heart” (Tagore qtd. in Das Gupta 2004: 81), but also led him to many “hearts/ so far away/land] those ... so near” (Das Gupta 2004: 82). He grew to love the poorest of the poor in Bengal-”the peasant folk-our ryots-big, helpless children of Providence” (Tagore qtd. in Kripalani 1962: 148)-and sought passionately, in Kripalani’s words, “to raise these dumb, half-grown creatures to a full stature of their humanity” (Kripalani 1962: 146). Concomitantly, however, Tagore cultivated friendships with some of the finest minds of his time, both at home and abroad. One such friend was none other than Mahatma Gandhi, who hailed Rabindranath as “a true friend because you have been a candid friend often thinking your thoughts aloud” (qtd. in Das Gupta 2004: 39). The Mahatma who described Tagore “as the greatest poet of the age” (Kripalani 1962: 398), also saw him “as a sentinel warning us against the approach of enemies called Bigotry, Intolerance, Ignorance, Inertia and other members of the brood” (Das Gupta 2004: 39), and added, after the poet’s demise: “There was hardly any public activity on which he has not left the impress of his powerful personality” (Kripalani 1962: 398). Tagore’s love for common humanity led him “to the work of village reconstruction”, with the mission to “retard the process of racial suicide” (Das Gupta 2004: 32) and “to rouse the will of the people to remove their own wants” (ibid. : 33). It also made him socially aware as a writer, broadening his empathy for the deprived and the downtrodden, and seeking to liberate them from the eternal shackles of poverty, suffering and injustice. His friendships with leading intellectuals of his time, both Eastern and Western, also contributed to the broadening of his humanist sympathies by allowing him access to the thought-process of these lively and sensitive minds, and additionally steered him to an increased awareness and identification of himself as a world-citizen, equating his own destiny with that of the world. Of course, a by-product of these relationships was the vast numbers of letters’ that Tagore wrote and received over the years, dealing with a wide array of subjects ranging from politics to education to ideas of civilisation, and from his general feeling about life, people and nature to the stresses and elation he experienced from contact with others.